Our galaxy is teeming with a wild variety of planets. In addition to our solar system's eight near-and-dear planets, there are more than 800 so-called exoplanets known to circle stars beyond our sun. One of the first "species" of exoplanets to be discovered is the hot Jupiters, also known as roasters. These are gas giants like Jupiters, but they orbit closely to their stars, blistering under the heat. Thanks to NASA's Spitzer Space Telescope, researchers are beginning to dissect this exotic class of planets, revealing raging winds and other aspects of their turbulent nature. 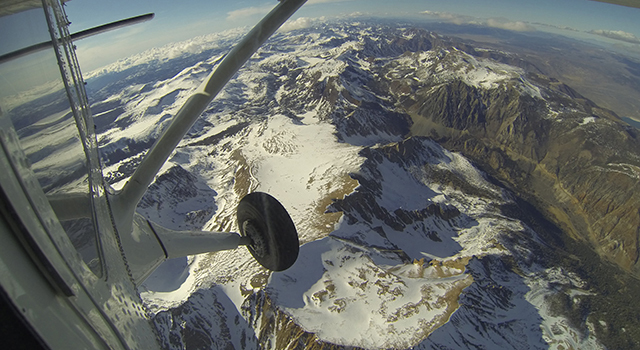 A twist to come out of the recent research is the planets' wide range of climates. Some are covered with a haze, while others are clear. Their temperature profiles, chemistries and densities differ as well. "The hot Jupiters are beasts to handle. They are not fitting neatly into our models and are more diverse than we thought," said Nikole Lewis of the Massachusetts Institute of Technology, Cambridge, lead author of a new Spitzer paper in the Astrophysical Journal examining one such hot Jupiter called HAT-P-2b. "We are just starting to put together the puzzle pieces of what's happening with these planets, and we still don't know what the final picture will be." The very first exoplanet discovered around a sun-like star was, in fact, a hot Jupiter, called 51 Pegasi b. It was detected in 1995 by Swiss astronomers using the radial velocity technique, which measures the wobble of a star caused by the tug of a planet. Because hot Jupiters are heavy and whip around their stars quickly, they are the easiest to find using this strategy. Dozens of hot Jupiter discoveries soon followed. At first, researchers thought they might represent a more common configuration for other planetary systems in our galaxy beyond our own solar system. But new research, including that from NASA's Kepler space telescope, has shown that they are relatively rare. In 2005, scientists were thrilled when Spitzer became the first telescope to detect light emitted by an exoplanet. Spitzer monitored the infrared light coming from a star and its planet -- a hot Jupiter -- as the planet disappeared behind the star in an event known as a secondary eclipse. Once again, this technique works best for hot Jupiters, because they are the biggest and hottest planets. Since that first observation, Spitzer has probed the atmospheres of dozens of hot Jupiters, and some even smaller planets, uncovering clues about their composition and climate. 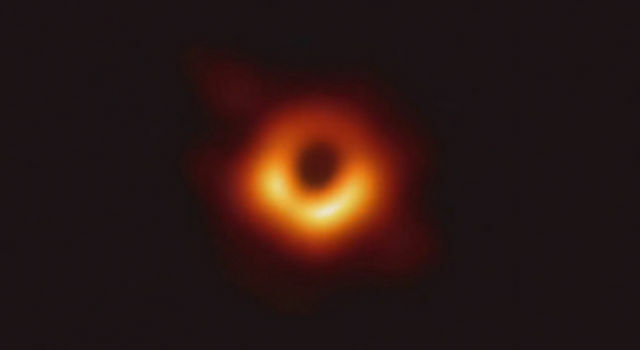 "When Spitzer launched in 2003, we had no idea it would prove to be a giant in the field of exoplanet science," said Michael Werner, the Spitzer project scientist at NASA's Jet Propulsion Laboratory, Pasadena, Calif. "Now, we're moving farther into the field of comparative planetary science, where we can look at these objects as a class, and not just as individuals." In the new study, Lewis and colleagues made the longest Spitzer observation yet of a hot Jupiter. The infrared telescope stared at the HAT-P-2 system continuously for six days, watching it cross in front of its star, slip behind, and then reappear on the other side, making a full orbit. What makes the observation even more exciting to scientists is that the planet has a comet-like eccentric orbit, carrying it as close as 2.8 million miles (4.5 million kilometers) to the star and out to as far as 9.3 million miles (15 million kilometers). For reference, Mercury is about 28.5 million miles from our sun. "It's as if nature has given us a perfect lab experiment with this system," said Heather Knutson, a co-author of the new paper at the California Institute of Technology, Pasadena, Calif. "Because the planet's distance to the sun changes, we can watch how fast it takes to heat up and cool down. It's as though we're turning the heat knob up on our planet and watching what happens." 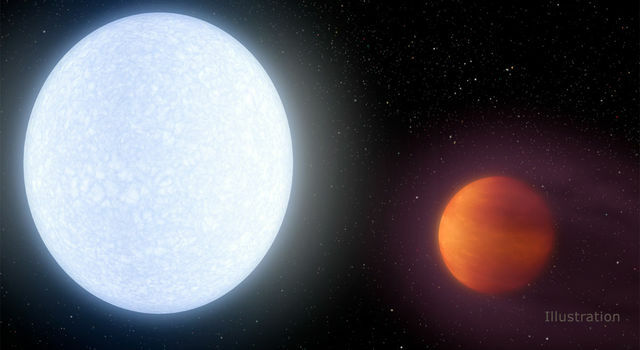 Knutson led the first team to create a global "weather" map of a hot Jupiter, called HD 189733 b, in 2007. The new HAT-P-2b study is also one of the first to use multiple wavelengths of infrared light, instead of just one, while watching a full orbit of a hot Jupiter. This enables the scientists to peer down into different layers of the planet. The results reveal that HAT-P-2b takes about a day to heat up as it approaches the hottest part of its orbit, and four to five days to cool down as it swings away. 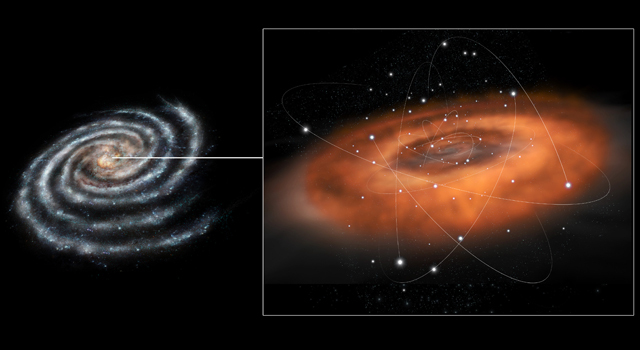 It also exhibits a temperature inversion -- a hotter, upper layer of gas -- when it is closest to its star. What's more, the carbon chemistry of the planet seems to be behaving in unexpected ways, which the astronomers are still trying to understand. "These planets are much hotter and more dynamic than our own Jupiter, which is sluggish by comparison. Strong winds are churning material up from below, and the chemistry is always changing," said Lewis. Another challenge in understanding hot Jupiters lies in parsing through the data. Lewis said her team's six-day Spitzer observation left them with 2 million data points to map out while carefully removing instrument noise. "Theories are being shot down right and left," said Nick Cowan of Northwestern University, Evanston, Ill., a co-author of the HAT-P-2b study. "Right now, it's like the wild, wild west." NASA's Jet Propulsion Laboratory, Pasadena, Calif., manages the Spitzer Space Telescope mission for NASA's Science Mission Directorate, Washington. Science operations are conducted at the Spitzer Science Center at the California Institute of Technology in Pasadena. Data are archived at the Infrared Science Archive housed at the Infrared Processing and Analysis Center at Caltech. Caltech manages JPL for NASA. 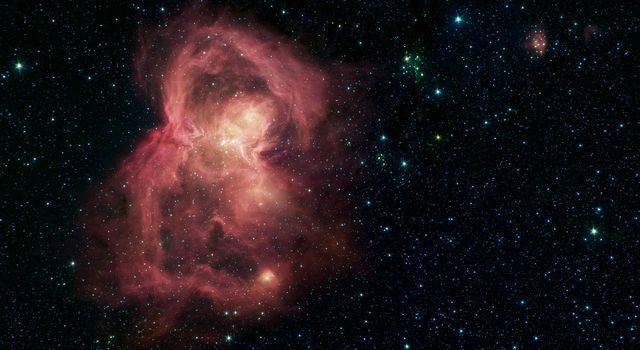 For more information about Spitzer, visit http://spitzer.caltech.edu and http://www.nasa.gov/spitzer .